Remember how I was complaining about being “racked?” Well, the pain continues and the obvious culprit is pull ups & bicep curls. So prudence tells me I need to stop being “all jacked up” about the numbers and give myself some slack by reducing reps and weights, as appropriate. I’ve reached this conclusion after yesterday’s Back & Biceps effort, where I opted to just work through the pain. (Reaching an all time high of 78 cumulative, unassisted pull ups.) In hindsight, I think that was poor judgement and, while the pain is more of an ache, I don’t want to tear anything. 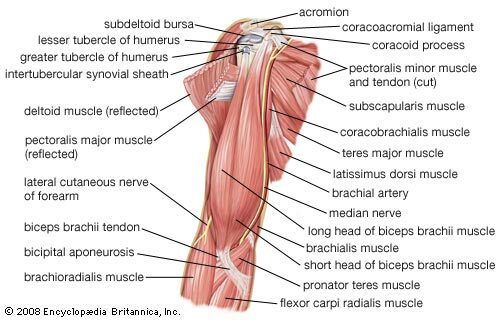 Self diagnosing, I believe I have an inflammation of the distal biceps tendon. So, while I understand and appreciate the concept of “no pain, no gain,” there’s obviously a line you don’t want to cross where pains leads to loss. This entry was posted in P90X-Insanity Hybrid, Round 3 and tagged Ab Ripper X, Back & Biceps, Calories, Heart Rate, P90X-Insanity Hybrid, Pain, Pull Ups. Bookmark the permalink.